In 2015-16, legislators earmarked $16.1 million to reward teachers who take on leadership roles. Lawmakers want these ongoing “leadership premiums” to go to select teachers who take on added responsibilities. Yet 19 districts gave a share of the money to at least 90 percent of their teaching staff. Lawmakers also wanted eligible teachers to receive a significant bonus — writing an $850 minimum into state statute. Eighteen districts and charter schools awarded smaller premiums anyway. The smallest was $75. State Rep. Julie VanOrden, R-Pingree, chairwoman of the House Education Committee. A State Department of Education report outlines these problems. Confronted with the findings, House Education Committee Chairwoman Julie VanOrden suggested legislators might need to amend the law yet again. But at least one school district disputes the SDE findings. And this latest report comes on the heels of an error-filled SDE document outlining the 2014-15 rollout of the program. The department has never corrected the 2014-15 report — and that makes it next to impossible to track trends in a program that receives an ever-increasing sum of taxpayer money. Passed by the 2014 Legislature, the leadership premium law was designed to address a chronic challenge. According to the State Department of Education report, 8,830 employees received leadership premiums in 2015-16. That represents 51 percent of the 17,478 employees eligible for premiums. The average value of a leadership premium came to $1,349.66. The idea for the leadership premiums came from Gov. Butch Otter’s K-12 task force — and the 20 recommendations the group approved in 2013. As with many of the task force’s ideas, this one received bipartisan backing at the Statehouse. The bill passed the House on a 62-6 vote, and passed the Senate unanimously. With that, the money began flowing. Districts and charters receive their share of money based on the size of their teaching staff, $850 per full-time position. And the cost of the leadership premium program increases as the state grows and schools hire additional teachers. Lawmakers have set aside a $17.4 million line item for leadership premiums in 2017-18, up from $15.8 million in 2014-15. The money comes with some strings. Under the law, a teacher can qualify for a leadership premium by taking on any of several added roles — such as teaching a dual-credit course, providing career and academic counseling to students or mentoring fellow teachers. But there’s also a catchall in the law. A teacher can receive money for taking on “other leadership duties designated by the board of trustees, exclusive of duties related to student activities or athletics.” According to the 2015-16 report, nearly 61 percent of leadership premiums fell under this umbrella. That ambiguity is a concern to Rep. Wendy Horman, R-Idaho Falls, a former school trustee who now sits on the Legislature’s budget-writing Joint Finance-Appropriations Committee. Horman says she wants the money to go to teachers who take on added work — in roles that will help students succeed. Mentoring is one such role, Horman says, and research shows a link between coaching and student achievement. But according to the 2015-16 report, only 22 percent of premiums specifically went to teacher-mentors. The SDE report outlines two problem areas — and both rankle legislators. Across-the-board payments. The premiums are supposed to reward select teachers who seek out and take on leadership roles. The law doesn’t specifically forbid across-the-board premiums, but lawmakers have publicly criticized the practice. And SDE staffers have discouraged schools from handing out bonuses across the board — including, most recently, at their annual Legislative Roadshow meetings with local educators this month. While eight districts awarded bonuses to all of their teachers in 2015-16, SDE spokesman Jeff Church says that number is a bit misleading. Five of the eight districts are extremely small, with only one or two teachers who qualify for premiums. But on the other end of the spectrum, the Valley School District awarded premiums to all 43 of its teachers in 2015-16. The Troy School District awarded across-the-board premiums to its 23 teachers. Troy superintendent Christy Castro did not respond to a request for comment. Eric Anderson — Valley’s new superintendent, who was hired in 2016 — said the district will comply with the law and award premiums to about half of its faculty in 2016-17. He declined to speculate on the 2015-16 bonuses. The size of the premiums. In 2015-16, state law required schools to give eligible teachers at least an $850 leadership premium. Some premiums fell far below this threshold. Valley and Troy offered premiums as low as $325 and $213, respectively. 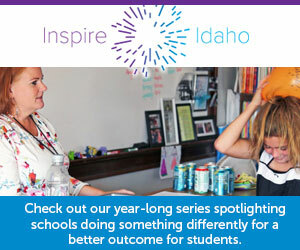 At Nampa-based Another Choice Virtual Charter School, premiums bottomed out at $128. At Monticello Montessori School, an Ammon charter school, the minimum was $75. Administrators at Another Choice and Monticello Montessori did not respond to requests for comment. Schools can also run afoul of the law for handing out excessive premiums. Teachers cannot receive premiums that exceed 25 percent of their base salary, as set by the state pay schedule. Six districts exceeded this 25 percent cap in 2015-16, Church said, and were notified of the errors. The Boise School District takes issue with the SDE report — which says the district awarded premiums as low as $300. At issue is a single $300 bonus, said Debbie Donovan, Boise’s administrator of student programs. The district paid the bonus from its general funds, not the state leadership premium dollars that come with strings attached. Boise asked the SDE to correct its report, Donovan said. Church did not confirm Boise’s contention, nor did he refute it. While the SDE sought to track only state dollars in its report, Church said the document might also reflect some bonuses paid at the local level and reported to the state. This isn’t the first time a district has disputed an SDE report on leadership premiums. In 2016, the SDE presented the House and Senate education committees with a report on the 2014-15 premiums. The report was fraught with mistakes, including numerous and irrefutable math errors. But beyond the bad arithmetic, the report contained some substantive, disputed claims. For example, the report says the West Ada School District awarded premiums to all of its 1,335 eligible teachers. The state’s largest district denied this claim at the time. And this week, West Ada spokesman Eric Exline again criticized the “misinformation” in the state’s report. “To be honest, it is disheartening that it persists,” he said. However, the report remains on the books, with its math errors and disputed claims still intact. The SDE never changed it, Church said this week, but “refined” its data collection process for 2015-16. But because the 2014-15 report is fraught with mistakes, it is nearly impossible to draw comparisons with the 2015-16 report. For example, there is no easy way to determine whether districts and charters are doing a better job of complying with the law, and honoring legislators’ original intentions. VanOrden, R-Pingree, knows what lawmakers had in mind when they passed the leadership premium law three years ago. She co-sponsored the bill at the time. And she has kept her eye on the issue since then. In 2016, she convinced lawmakers to pass a bill boosting the minimum premium to $900 — and making it clear that part-time and full-time employees are eligible for that same amount. The law effectively outlaws across-the-board payments. Since schools still receive $850 per teacher, a $900 minimum makes it mathematically impossible to award a premium to every teacher. This week, VanOrden said she hasn’t gone through the 2015-16 report in full — but she pointed out that schools have been given clear instructions about the law. But the law has the backing of Church’s boss, state superintendent Sherri Ybarra. A National Council on Teacher Quality report says Idaho has taken only a partial step slow to reward high-performing teachers. The leaders of several education groups told State Department of Education officials that teacher pay continues to be their top budgetary proposal for next year. Superintendent of Public Instruction Sherri Ybarra has already called for spending $58 million next year on raises and increased benefits for teachers. The State Department of Education compiled the numbers — and submitted them to two legislative committees. The House Education Committee had some pointed questions Thursday.